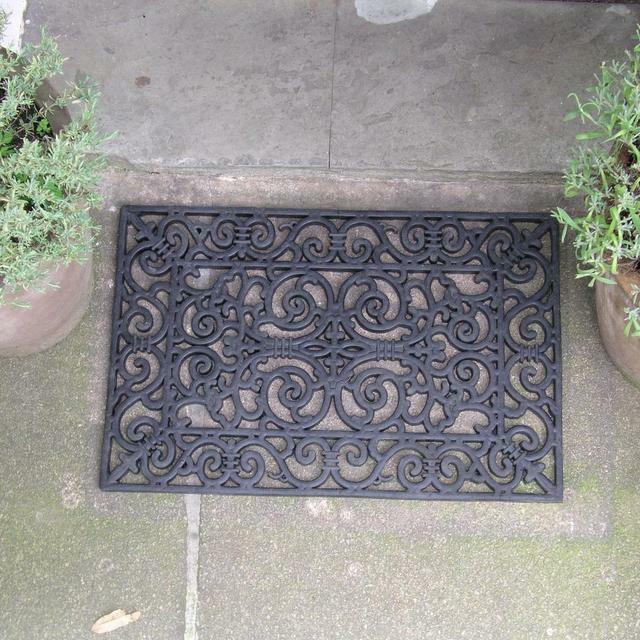 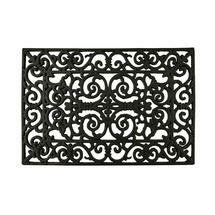 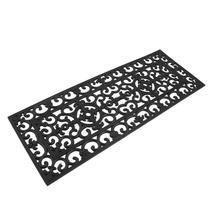 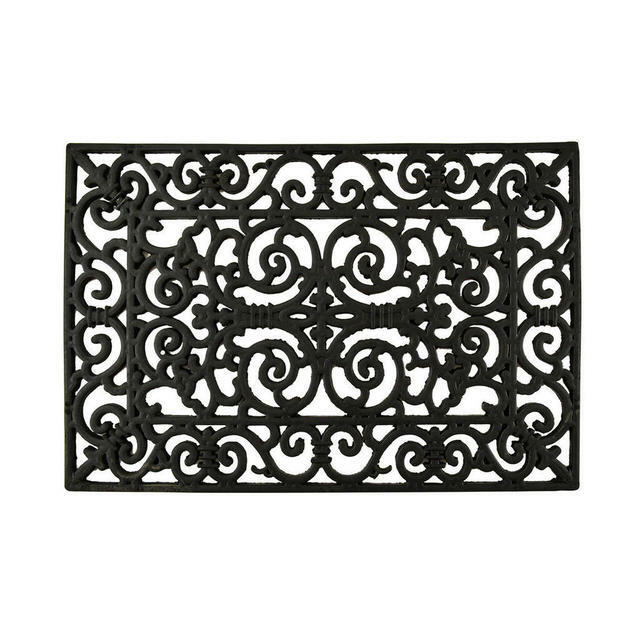 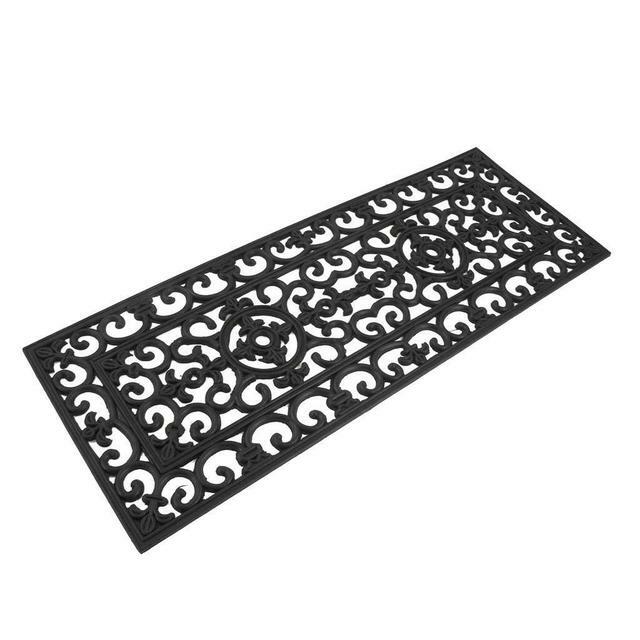 Best door mats that look like wrought iron. 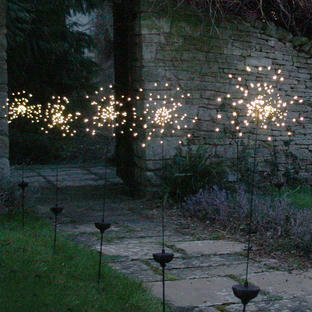 Lightweight, washable and durable, its traditional design makes it perfect for back doors to the grandest front doors alike. 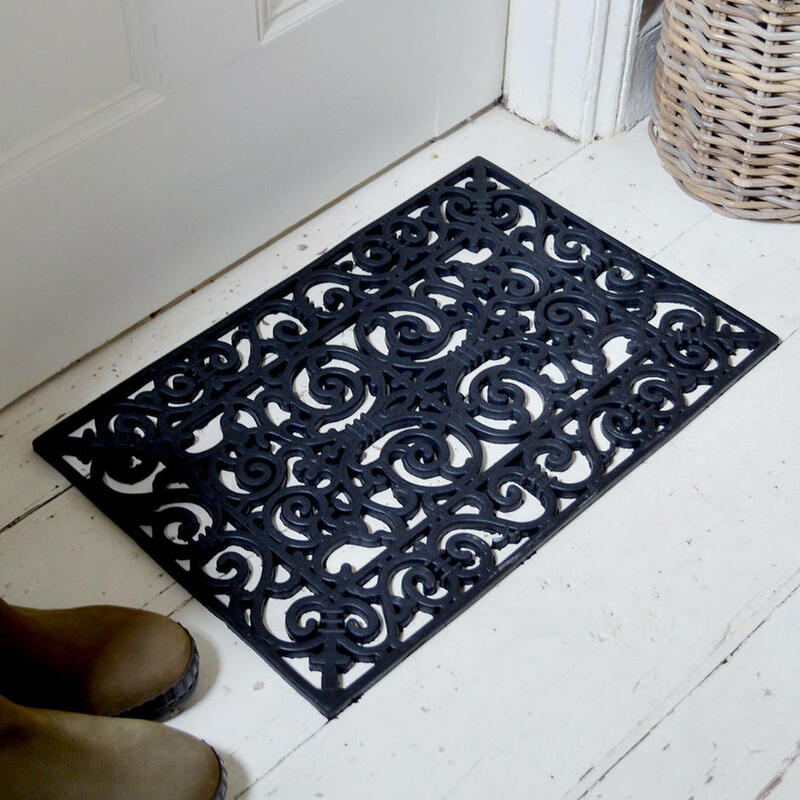 Made of rubber (although you wouldn't guess it just by looking at them), these classic style doormats are as practical as their cast iron cousins. 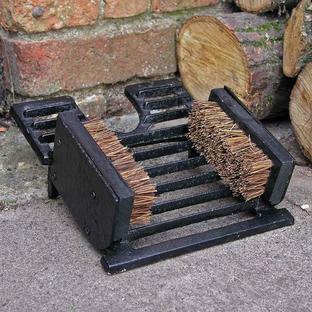 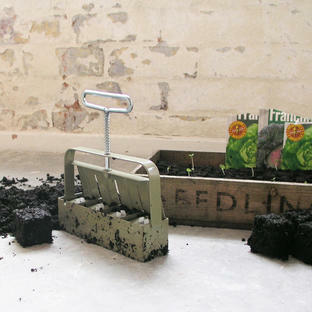 But will stand the tread of lots of boots and wellies. Two sizes available, the standard size door mat, or the 1.2 metre door mat for larger doorways, or for use as a runner down a corridor.